Asian Games 2018: India have a number of players capable to deliver at the 18th Asiad that has 45 nations participating. All the 524 participants are all into the practice sessions either in domestic camps or abroad aiming to bring the gold glory for the country. With less than 3 weeks left for the Asian Games 2018 to kick off in Indonesia, Indian participants are all into the practice sessions either in domestic camps or abroad aiming to bring the gold glory for the country. Among the participants, India have a number of players capable to deliver at the 18th Asiad that has 45 nations participating. It’s anybody’s guess what the fate of the 524 Indian players would be, how many would seize the chance but here are 4 champions that are sure to bring glory. 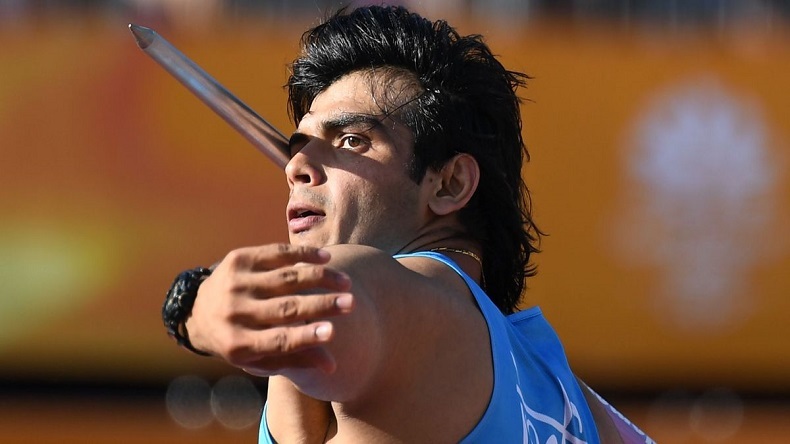 The former under-20 world champion is a big promise in Javelin throw after winning the gold medal at the Commonwealth Games held in Gold Coast this April. Not only this, Neeraj right now holds the national record at 87.43 meters. Qualifying for the prestigious Diamond league, he is currently training under the mentorship of veteran German Uwe Hon, a world record holder who is the only athlete to throw a Javelin more than 100 meters. In the Asiad, Neeraj’s main opponent would be Taiwan’s Chen Chao-tsun, who is the current record holder of the Asian Games at 91.36 meters. 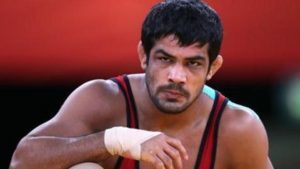 Ferocious Sushil is the 2 times Olympic medal champion in wrestling, a bronze in 2008 (Beijing) and silver (London). The 35-year-old wrestler has earned glory in the Commonwealth Games as well. However, he’s yet to prove his mettle at the Asiad with winning only 1 medal till now. Sushil’s prime opponents at Indonesia would be wrestlers from Kyrgyzstan, Kazakhstan, Mongolia and Iran. 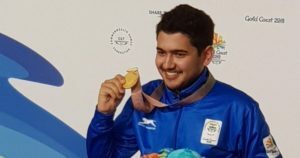 Shooter Anish is riding high with a gold in the 2018 Commonwealth Games. Only 15, the boy also emerged on the top at 25-metre at Gold Coast in Australia. He’s already being called wonderkid and is being compared with Chandigarh icon Abhinav Bindra, former Olympic champion in the 10-metre event. A gold at Indonesia will boost Anish’s reputation in a major way. Haryanavi boy Vikas is one of the boxers on whom the medal hopes are riding. In earlier Asiad editions in 2014 and 2010, he had won the bronze and gold respectively. The competition is not easy for Vikas, but the boxer hails from the tough terrains of Bhiwani and is known for his inner strength.